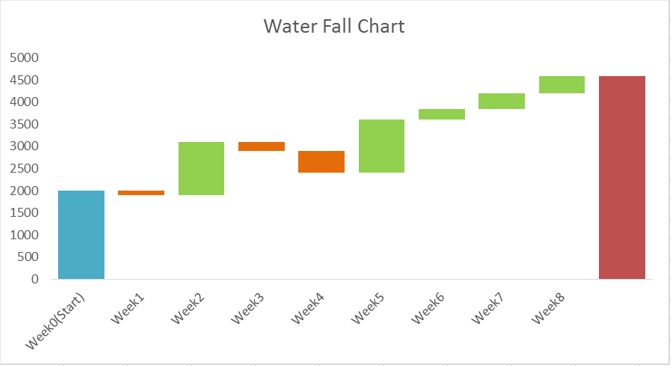 A waterfall chart is a special type of column chart used for understanding how an initial value is affected by a series of intermediate positive or negative values. Usually the initial and the final values are represented by whole columns, while the intermediate values are denoted by floating columns. Weekly cash flow data is used for creation of waterfall chart in excel. The data is shown below. 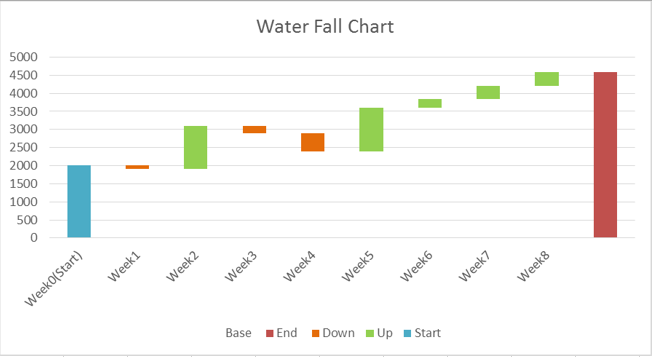 To create your own waterfall chart in excel, the first step is to set up your data. 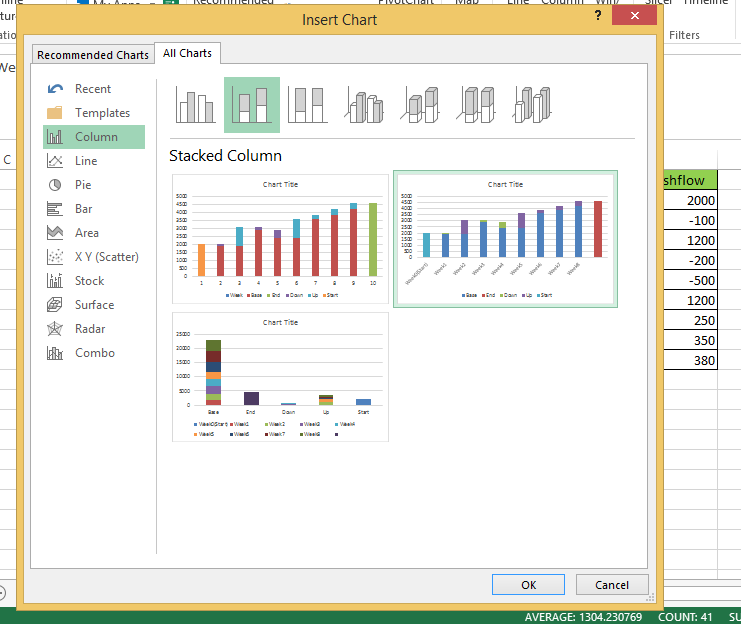 Select cells F1:K11 –which includes heading cells and data — but don’t include the last column i.e. Weekly Cash flow. Right Click on the Baseseries -> Format Data Series. 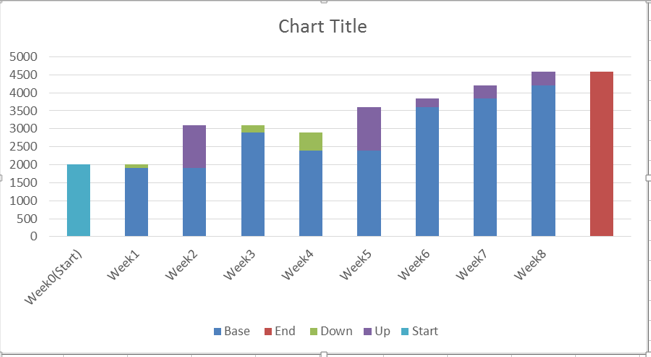 Under FILL, click no fill and under BORDER, click No Line, so it isn’t visible in the chart.